It’s time for our quick monthly stat: Index performance. Indexes went negative in August, with the Nifty losing about 1.6% in the month. That’s lower than any other month since Demonetization. This doesn’t sound like much but in a month when foreign investors took out over Rs. 14,000 cr. from stocks, domestic investors pumped in enough money to keep the market from crashing. From now on, however, we need to firm up fast. Because, look at 2007 – 10 years ago. It was total madness from September onwards, and 10 year returns won’t be this great if markets stay here. The Sensex wasn’t quite that great either, losing more than 2%. 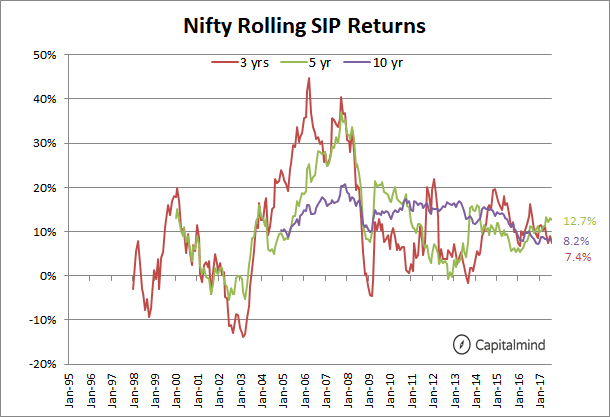 Buying the same amount every month (a Systematic Investment Plan or SIP) would have resulted in an 8.2% gain in 10 years for the Nifty. For three years, it’s just 7.4% and for five, it’s a more respectable 12.7%. 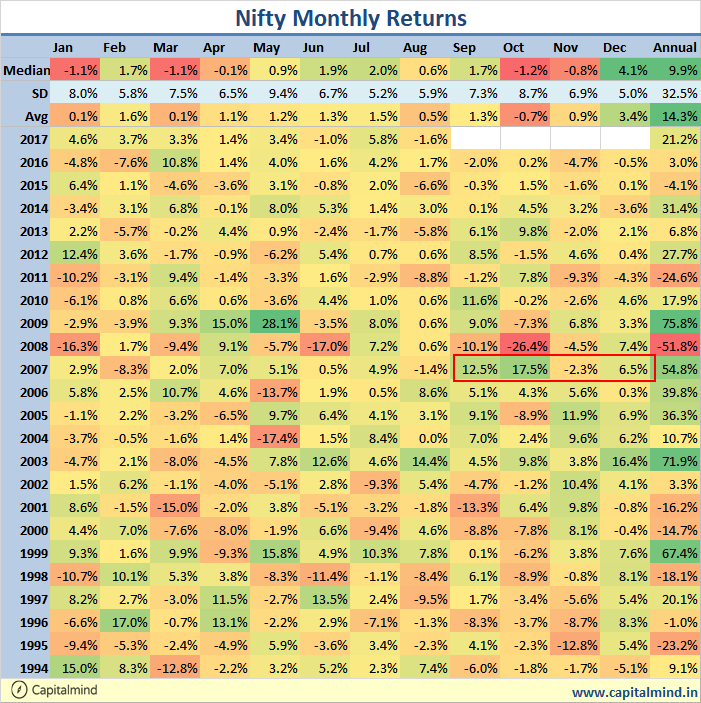 Of course, many mutual funds have done well, so the Nifty return isn’t that useful to hit comparisons, and your mileage would have varied. This is going to be an interesting year. While I sense that I know that a lot of times, my senses are wrong. 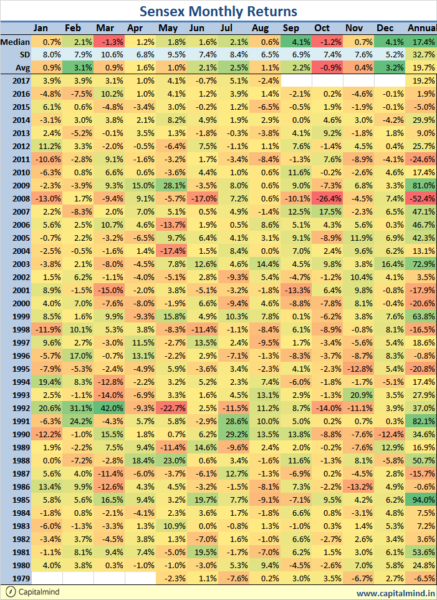 Living in interesting times could be a curse, but for people in the market, it throws up opportunities. Let’s hope for interesting times!